I decided to spray my vuvuzela white, but you can keep its original colour or spray it any colour of the rainbow. Making patterns is also an option. Drill a small hole close to the end of the larger side of the vuvuzela, this will be used to pull the cable through. 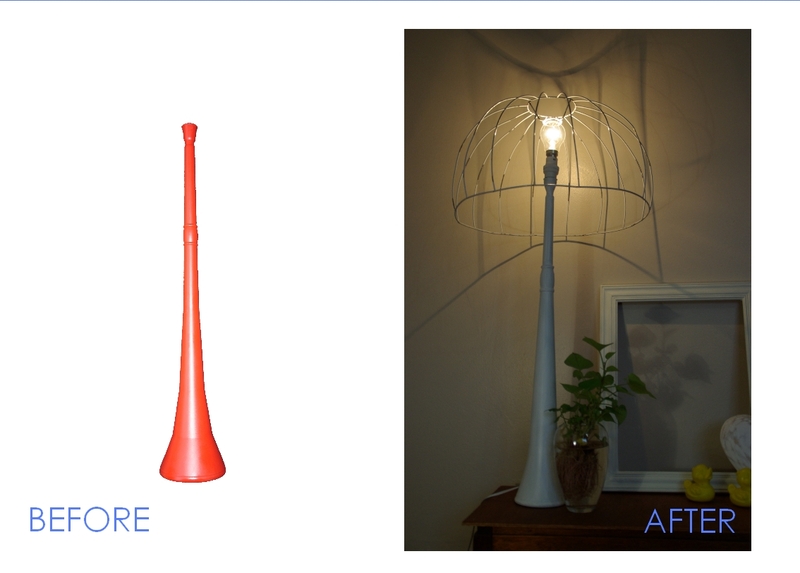 Connect the electrical cable to the light fixture and feed the cable through the narrow end of the vuvuzela and then through the hole that you have drilled. Connect the light switch and plug point to the cable. It can be used as a bedside lamp, task light or table lamp for any occasion.